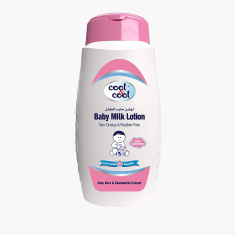 Cool & Cool Baby Milk Lotion - 250 ml | Multicolour | This formula is perfect for nourishing baby's skin,leaving it soft & supple. 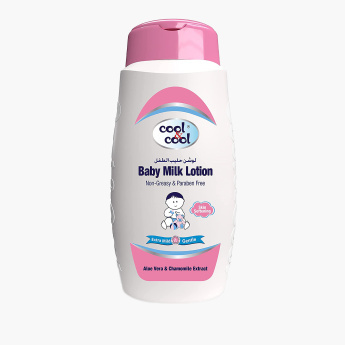 Massage your kid's skin and leave it nourished with the help of this milk lotion. The formula ensures the baby's skin is left soft and supple while keeping dehydration and external aggressors at bay. Feature 2 : Prevent the skin from dehydration and external aggressors. Feature 1 : This formula is perfect for nourishing baby's skin,leaving it soft & supple.